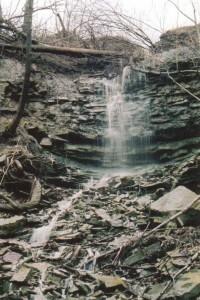 Vinemount East Falls is considered a Horsetail Ribbon Cascade with two distinct vertical drop sections and several cascade sections. 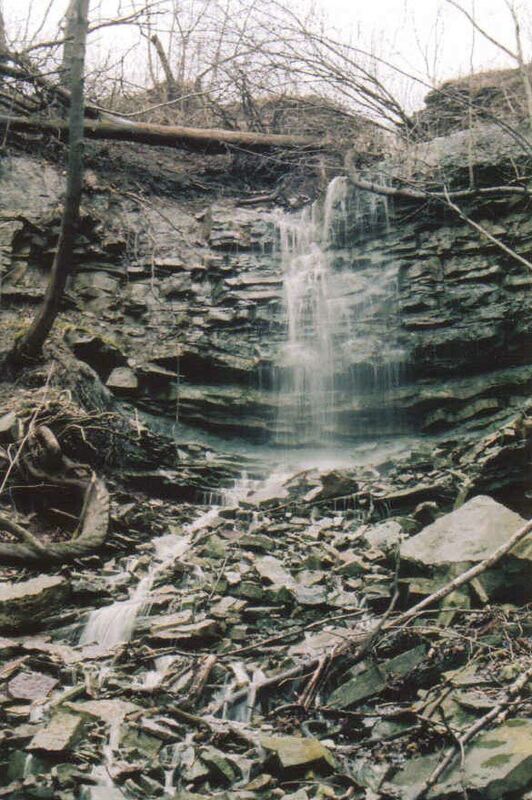 Its height is 7 metres (23 feet) to 10 metres (33 feet), depending on how much of the cascades are included. 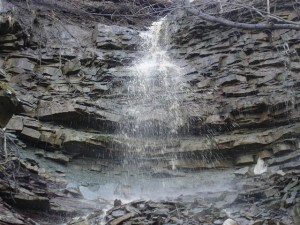 Its width is 2 metres (7 feet). It experiences its strongest flow during storms and the seasonal snow melt. 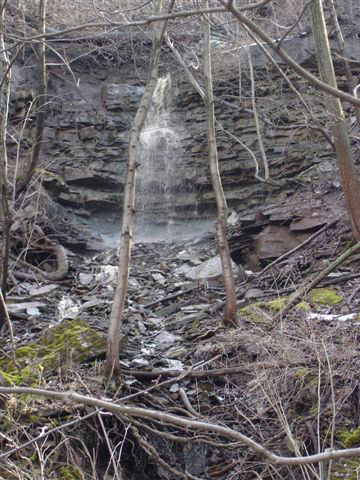 Its alternate names are: Vinemount Middle Falls and Middle Vinemount Falls. 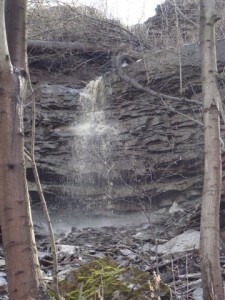 Vinemount East Falls was “discovered” by Joe Hollick in 2005. 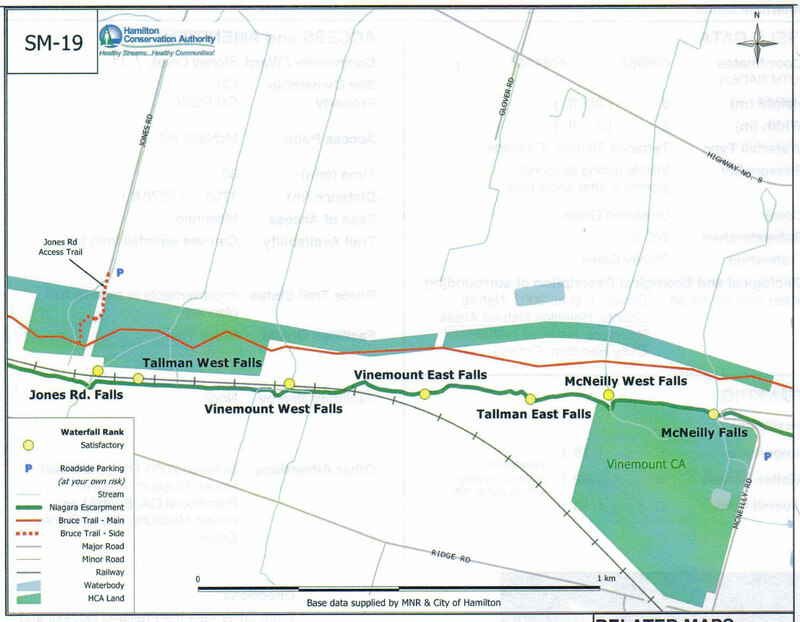 It was renamed Vinemount East Falls (in the HCA Waterfall Report dated November 1, 2007) instead of Vinemount Middle Falls because the former Vinemount East Falls was changed to Tallman East Falls. 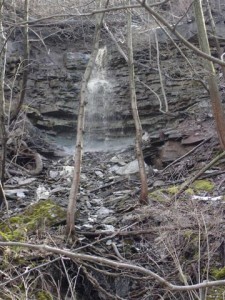 Vinemount East Falls is located between the railway tracks and the Bruce Trail approximately where the railway tracks begin to curve away from the escarpment face about 1/2 km west of McNeilly Road. Map including Vinemount East Falls.